Known and respected for TRUSTED DENTISTRY, the Aegis Dental Group provides the highest standard of care that is comprehensive, convenient, comfortable, and affordable. COMPREHENSIVE -- you deserve to understand every aspect of your oral health so we put extra time into communicating and educating. We listen to your concerns, your goals, and your desires, then combine these with a detailed clincial diagnosis. We present various treatment options to improve your oral health and aesthetics -- you decide what is best for you. CONVENIENT -- we offer appointments six days a week and care for emergency patients on a walk-in basis -- you choose a time that works for your busy lifestyle. 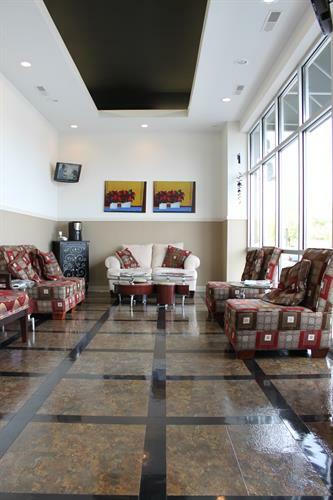 COMFORTABLE -- In a starbucks-style waiting room or in an up-to-date operatory, we have a highly trained and professional staff who will treat you with the respect you deserve while comforting your anxieties. Experience modern, pain-free dentistry with conscious sedation -- you relax and have a positive experience. Convenient Hours 6 Days a Week!